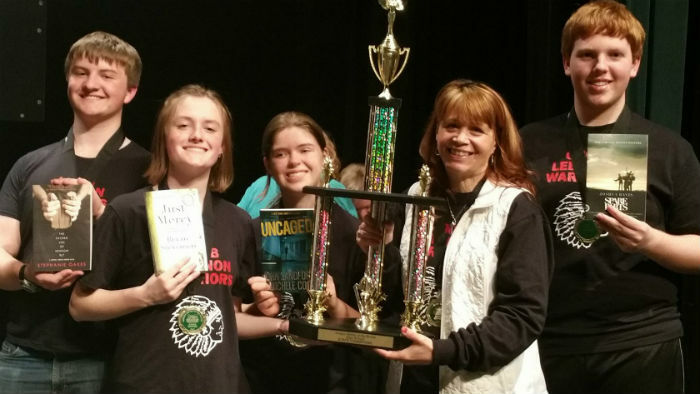 Lebanon High School’s Oregon Battle of the Books team recently won the state level competition on April 8, 2017. Coach Deanna Chambers led students Carrie Cleveland, Samuel Long, Kelton Bruslind, and Svea Bruslind to the first ever OBOB state championship appearance and win for the high school. The team read 12 books and had to answer specific questions regarding details from each.